Posted January 25th, 2016 & filed under News. Several times each week, The Food Institute reports on new class action lawsuits against food manufacturers and retailers in its member newsletter Today In Food. The number is growing rapidly and a cause for concern among both classes of trade. Over 250 class action lawsuits have been filed against many major food companies over the past two years. Most recently, a class action lawsuit was filed against Trader Joe’s for allegedly underfilling some 5-oz. cans of tuna. Obviously, the specialty food chain does not pack its own tuna but its label is on the can nonetheless. The complaint was filed in a New York Federal court and alleges that “Tests by a U.S. government lab confirm that Trader Joe’s 5-ounce cans actually contain less than 3 ounces of tuna in most instances, and that every lot tested, and nearly every single can, was underfilled in violation of the federally mandated minimum standard of fill.” Needless to say, the impact such a case and related press can have on a retail chain is significant, and costly. And although the case is typically promulgated by a single individual or group of individuals, by reaching class action status, the stakes are great and can easily run into the millions of dollars which may or may not covered by insurance, depending upon the circumstances. Read more here. Posted January 10th, 2016 & filed under News. On February 28, Janessa Plummer will be heading to Las Vegas to compete for the second year in a row. 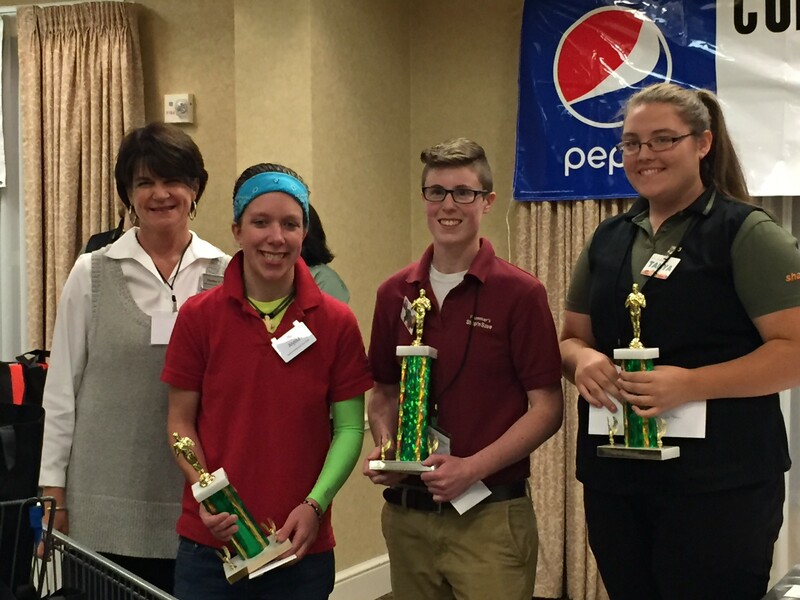 Janessa of Plummer’s Shop’n Save in Buxton will represent Maine at the 2016 NGA Best Bagger Championship. Janessa competed against 8 other baggers at the MGFPA’s 2015 Best Bagger Championship held in October. We wish Janessa all the best and thank our generous sponsors AG of New England, Bozzuto’s, C & S Wholesale Grocers, Hannaford and Shaw’s for this event and prizes possible!